Parramatta is the perfect place to ride a bike - the area is reasonably flat and has good cycle links to greater Sydney. Riding to work can reduce environmental impact and improve your health. In fact in Sydney, over 50% of trips are less than 5km. Cyclists and pedestrians can now travel on a high-quality, river front path from Parramatta Park to Sydney Olympic Park following the official opening of the Subiaco Creek link on the 19th June 2017. The flat surrounds and connected cycleways of Parramatta's CBD and suburbs make it the perfect place to get around by bike. To decrease your carbon blueprint, utilise the many cycleways to commute to work and improve your health as a byproduct. Over 50% of most car trips are less than 5km. Sub in cycle time for car time and you can enjoy Parramatta's outdoors whilst reaping the health benefits. The Parramatta Valley Cycleway follows the Parramatta River from Parramatta Park to Morrison Bay Park in Ryde and heads west along dedicated bike paths, quiet streets and the river foreshore. Cyclists can continue to Parramatta CBD or explore the connection to Sydney Olympic Park via the Silverwater Bridge. 2 Transit-ways (or T-ways) to the North-West and Liverpool both include shared pedestrian and cycle paths offering a good route to Liverpool via Wetherill Park and Rouse Hill adjacent to Old Windsor Road. M4 Motorway Viaduct Route links Auburn, Granville, Holroyd and the Parramatta CBD via Good Street or Mays Hill. Parramatta to Liverpool Rail Trail is nearly 17km long and runs parallel to the railway line through Merrylands, Yennora and Fairfield to Liverpool. favourite training ground of local riders at Parramatta Park at roughly half the size of Centennial Park. To discover more cycleways near you, download our Greater Parramatta map, view our CBD and Heritage rides or visit Cycleway Finder for more cycleways across Greater Sydney. A free, secure bike shed for 50 bikes has recently been opened near Parramatta Station. To get access and register your Opal card, head to ServiceNSW. Securely store your bike with lockers at Parramatta Wharf and Parramatta train station. Each site has a secure bike storage area, lockers for personal items and change rooms which include showers. Access is controlled by a member swipe card and the storage areas are monitored by 24 hour CCTV. 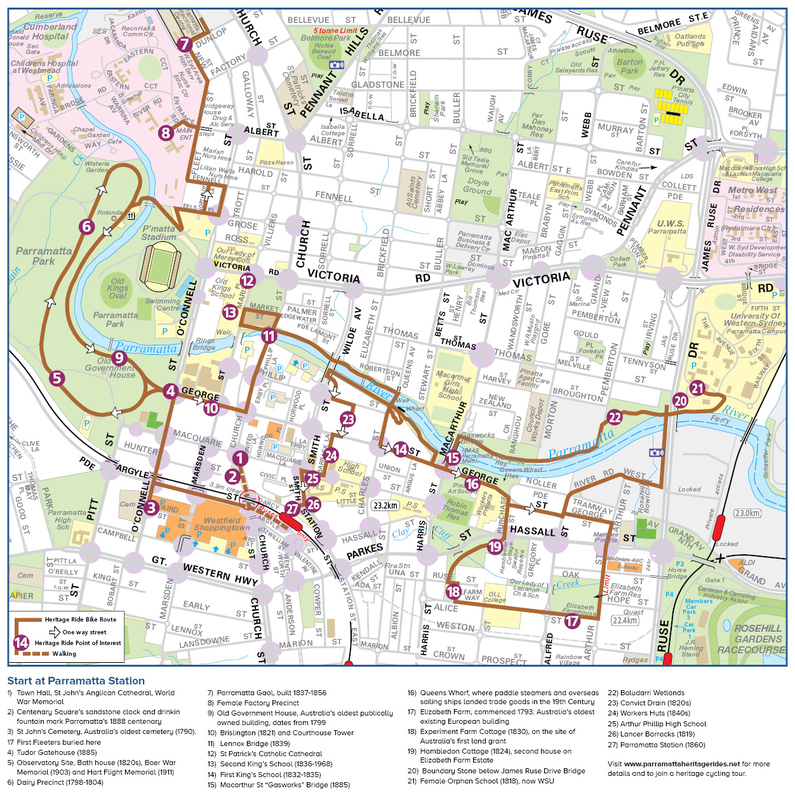 There are over 40 parking spaces available for those who wish to travel to Parramatta by bike. member only swipe card access to change rooms and bike storage areas. To join call Secure on 02 9633 1863 or visit the office in either Erby or Horwood Place car parks. try combining cycling with public transport. It is a great way to cover longer distances - contact Bicycle NSW to find out more. 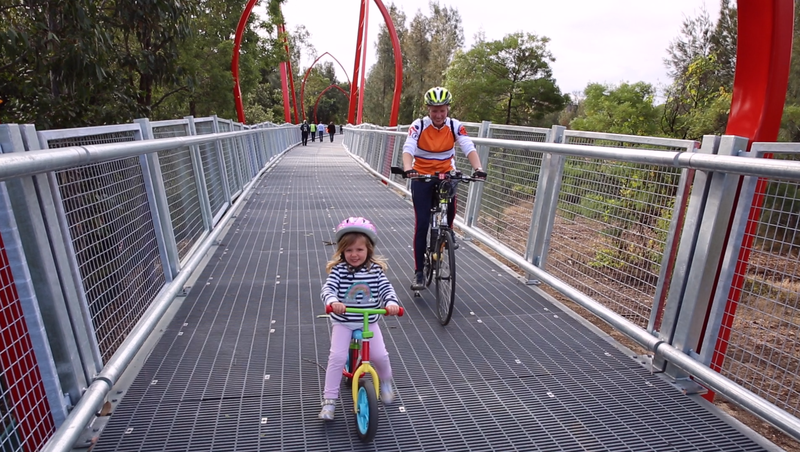 The Parramatta Bike Plan has been informed by over 3,000 submissions from the community. Combined with a comprehensive cycling audit, current population and jobs forecasts and the latest thinking in cycling infrastructure, the key themes from this engagement have been woven into a cycling network for the next 20 years and beyond. There are a range of secure options in Parramatta for storing your bike including lockers at Parramatta Wharf and Parramatta train station. In addition, secure bike parking is available in the city centre in two locations – Erby and Howood Place carparks. Each site has a secure bike storage area, lockers for personal items and change rooms which include showers. Access is controlled by a member swipe card and the storage areas are monitored by 24 hour CCTV. There are over 40 parking spaces available for those who wish to travel to Parramatta by bike. To join call Secure on 9633 1863 or visit the office in either Erby or Horwood Place car parks. Parramatta Valley Cycleway starts at Morrison Bay Park in Ryde and heads west along dedicated bike paths, quiet streets and the river foreshore. Cyclists can continue to Parramatta CBD or explore the connection to Sydney Olympic Park via the Silverwater Bridge. Visit Cycleway Finder to discover more cycleways near you.